Outdoor home improvements are a great way to add value to your home and add extra living space. Erix Home Improvement LLC has been in business since 2012, building decks, patios, and porches. Our quality craftsmanship speaks for itself when you see a home that has been enhanced with a deck, patio, or porch designed and constructed by Erix Home Improvement LLC. Call (240) 207-1192 to find out how you can add value to your home by adding outdoor living space. Can you imagine relaxing on your own deck or patio? 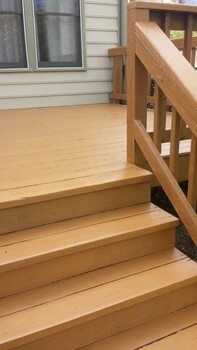 Erix Home Improvement LLC will design and build a deck that complements the style of your home. We will work within your budget to select quality materials that can withstand all types of weather conditions. Whatever your needs and budget, Erix Home Improvement LLC will work with you to create a stylish and functional outdoor living space. Erix Home Improvement LLC can build a front porch that matches the style of your home and offers functionality. Outdoor living can be yours. Erix Home Improvement LLC can add outdoor living space to your home. Whether you're looking for a deck, patio, or porch, Erix Home Improvement LLC can build a space that increases the value of your home and gives you and your family more room for relaxation. Call (240) 207-1192 to find out how easy and affordable it is to enhance your home with a deck, patio, or porch.